The Baltimore Ravens and Philadelphia Eagles will square off in a big game within week two of the National Football League. These two teams are both projected to win their respective divisions, and are possibly Super Bowl contenders. The Ravens are the lone team out of the AFC North to win in week one. Baltimore smoked Cincinnati on Monday Night Football; scoring 44 points. The Eagles held on to a slim win over the Cleveland Browns on Sunday despite four interceptions from quarterback Michael Vick. Philadelphia is tied with Dallas and Washington within the NFC East. Do you like the Ravens or Eagles? Make your bet at this bookmaker before the odds change! Philadelphia has to feel fortunate to come away with a win in week one, despite their poor play. That better news for the Eagles is that it was a road win. Last season, the Eagles started 4-8, and then won their final four games to make things tight in the division. Philadelphia passed for 306 yards and ran for an additional 150 more, but still scored just 17 points. LeSean McCoy ran 20 times for 110 yards, but was unable to get into the end zone in the win. Jeremy Maclin scored a touchdown; picking up 96 yards. The Eagles defense held Cleveland to just 111 yards passing; which was the best in the NFL for week one. The Baltimore Ravens looked real good in week one over Cincinnati. The Ravens saw Joe Flacco throw for 299 yards and 2 touchdowns. The other good news for the Ravens was their run game was effective once again, as Ray Rice rushed for 68 yards and 2 touchdowns on 10 carries. Baltimore’s defense was once again all over the field, forcing the Bengals to be off their game offensively all night. The Ravens defense allowed just 193 passing yards in the win. The Ravens are playing their first of two big games early in the season. In week three, Baltimore will host the AFC East favorite New England Patriots. Ready to make your bet? This sportsbook is one of our favorite for NFL betting. This should be one of the tightest games of Week 2. These two teams are both looking to start the season off with two straight wins. Baltimore proved a ton last week, but it will be interesting to see what they can do on the road. Philadelphia was kind of the opposite, but again, coming up with a win was huge. Look for Michael Vick to have a better day, and the Eagles offense to score more than week 1. We like the Philadelphia Eagles to win this game, and cover the -1 spread. We are betting Philadelphia straight up as well, with -125 odds. The total for this game is placed at 46.5. Many people feel Baltimore’s defense won’t give up enough for this to sail over, but we disagree. We like the Eagles offense to have a nice day here. 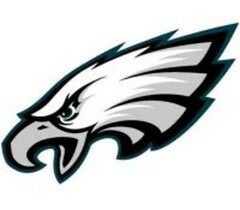 We are predicting 28-20 Eagles; therefore we are betting the over 46.5 for this game. Enjoy the game, and best of luck with all your National Football League betting!